Sekiro: Shadows Die Twice busted onto the scene at E3 this year and immediately turned heads. 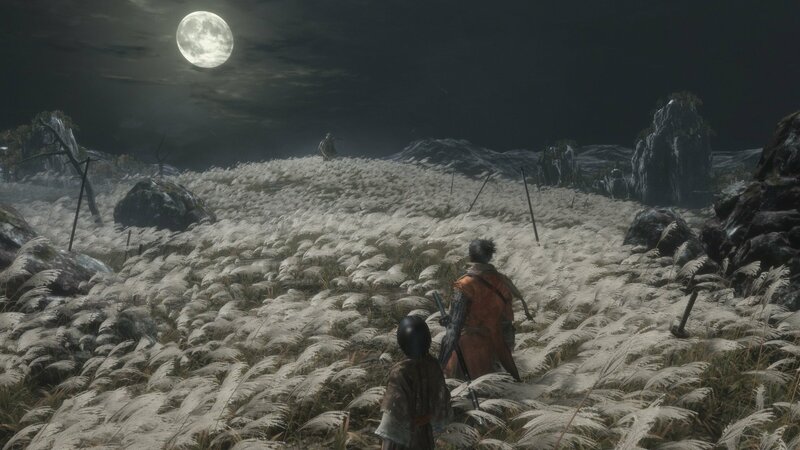 The Souls but kinda not Souls action romp by From Software changes up quite a few core pieces of the popular franchise's formula, most notably by nixing multiplayer and eliminating most of the RPG angles. Souls creator Hidetaka Miyazaki will be at the helm, directing. While a lot of the game is still a mystery the release date isn't: it's March 22, 2019. Activision announced the news in Germany today as Gamescom kicked off, which will be playable on the showfloor. It'll sport a collector's edition when it does arrive too, which you can pre-order today if you're into that thing. Said edition comes with the game (you have to clarify that these days), a seven inch Shinobi statue, a steelbook case, artbook, map, soundtrack, and replica game coins - it's par for the course for From collectors packages. I fully expected to live in a world where From, a relatively guarded developer, would deliver Sekiro at some point in the distant future. But March? That's not too far away.